Growing up, I loved the Indiana Jones movies and the Jurassic Park trilogy – I can’t imagine there are many people my age who didn’t do exactly the same. 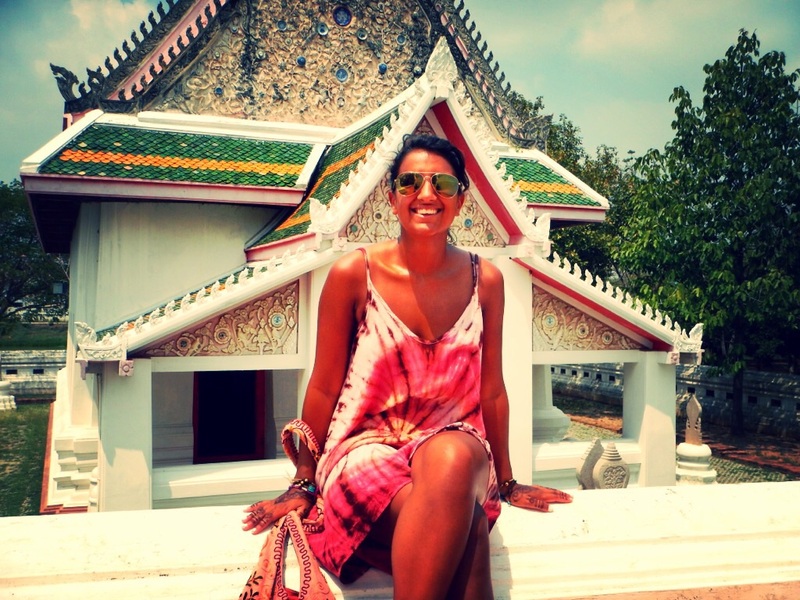 So I feel really lucky to have been able to explore incredible places on my travels in Thailand that have instantly transported me to those childhood favourites. You might remember my posts on Khao Sok and the stunning landscape that looked exactly like a scene out of Jurassic Park? At any moment I half expected a dinosaur to loom out of the bushes while canoeing and trekking through the lush green rainforest. I loved that being in this place as an adult could still capture the imagination as it did when I was a child. 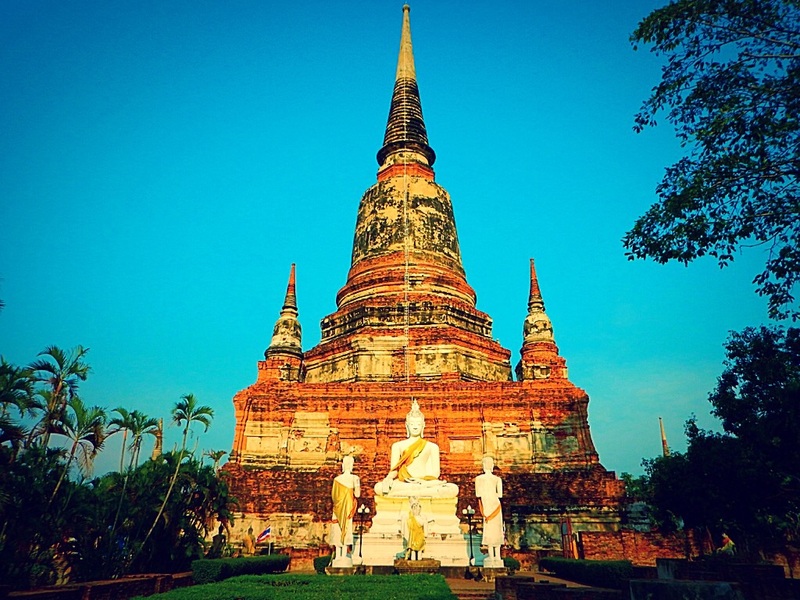 So you can imagine how excited I was to arrive in Ayutthaya – one of the old Kingdoms of Thailand as Bangkok is now. 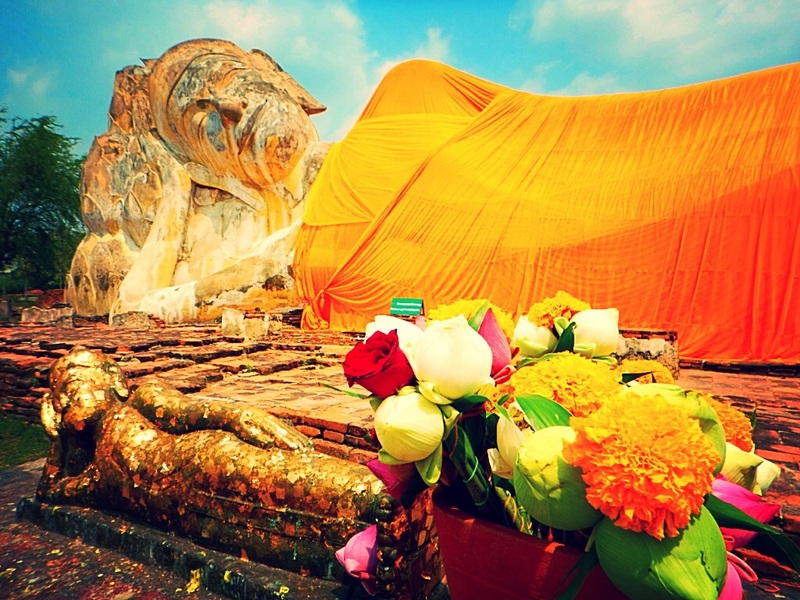 All my reading up on this amazing piece of Thai history revealed incredible pictures of crumbling ruins and huge temples that could have come straight out of The Temple of Doom! I couldn’t wait to arrive, get myself a bike and get out exploring. I arrived at the train station after an hour on the train and was taken straight to my guest house by a pre-arranged tuk tuk driver. 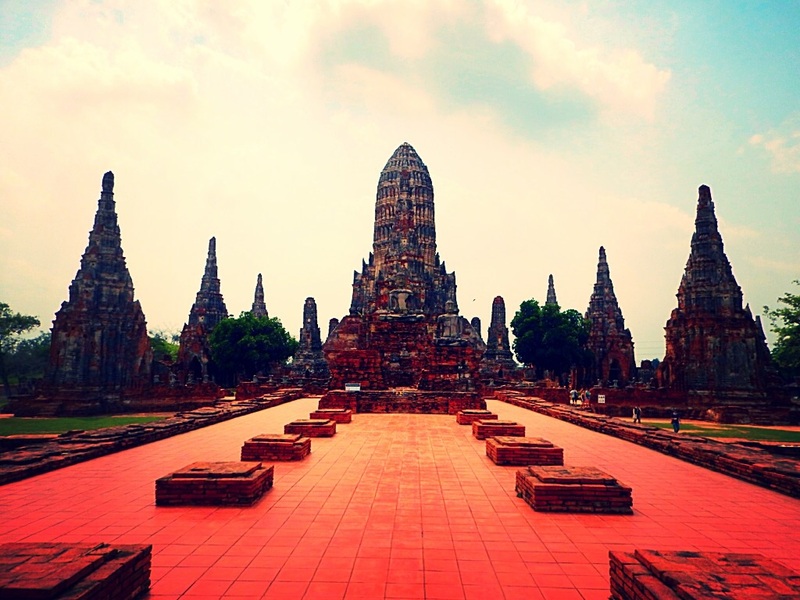 After checking in, and finding my room was huge, cosy and with its own bathroom, I headed to Tesco Lotus for water and phone top-up – and this was one of the best moves I made while in Ayutthaya. It was there that I met a wonderful Thai woman who quickly adopted me and became a good friend in just three short days. Filo, who moved to Ayutthaya after her home in Bangkok burned down, has two daughters around my age and is just a little bit older than my mum. She spoke great English, and with a teeny bit of Thai I had learnt and good old Google Translate, we managed to tell each other quite a lot about our lives. After spending some time at her home with her and her sister, plus their collection of seriously cute dogs, she decided to take me out on a little scooter ride around all of the best temples in the historical park. She took me to Wat Phra Mahathat which is where a sandstone Buddha head lies entangled in a tree’s roots, then on to Wat Phra Si Sanphet which was pretty damn spectacular, Wat Phanan Choeng, Wat Chai Wattanaram and several others including one with a huge reclining Buddha. All were beautiful and so grand, it was pretty amazing to think how long they had been stood there. 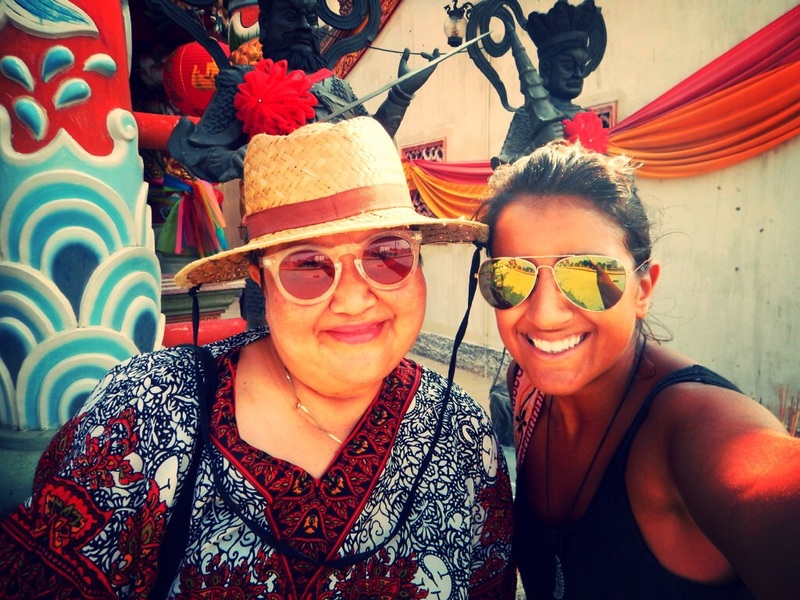 After a lovely afternoon of sightseeing, chatting to Filo’s friends and eating fried chicken with sticky rice, we parted ways as Filo had to travel to Bangkok to visit one of her daughters, but we made a plan to meet two days later for more sight seeing. I headed out that night to dinner at a fabulous little restaurant called Sai Thong which was just one street from where I was staying – it promised choice from over 180 dishes plus live music, and all with a river view and cheap prices. Perfect – it was a lovely evening and I tried some delicious dishes including one with wild boar and another with river fish. It was so refreshing to have an evening alone to eat, read and relax after a busy few weeks. I planned my activities for the next day and had an early night. 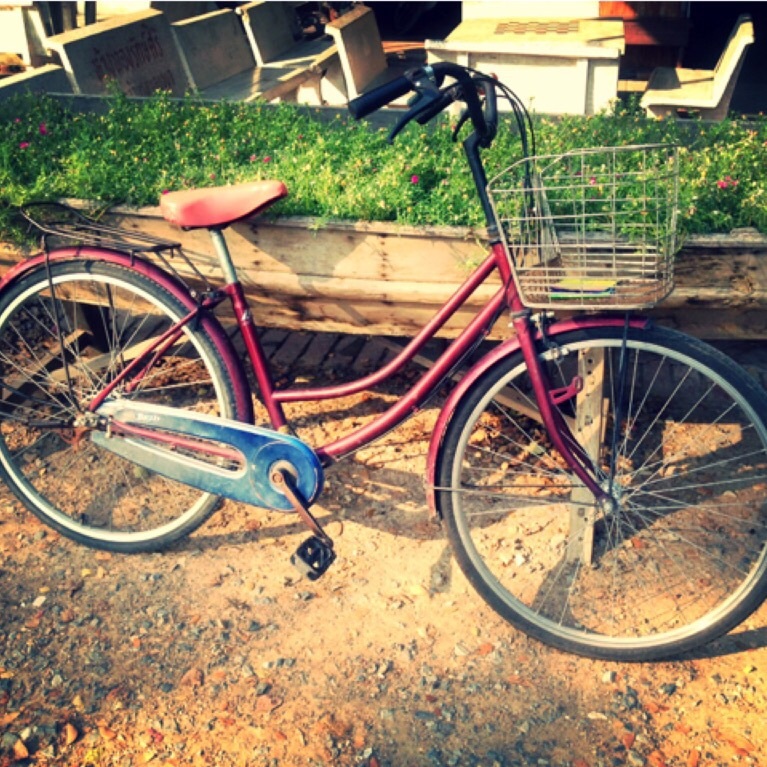 The next morning I hired a cute little bike that I can only describe as seriously vintage – as in no gears, 100 years old and heavy. I actually have an admission that I hadn’t been on a bike for about 10 years at this point so was rather dreading falling off an embarrassing myself, but I did pretty damn well! It really is like riding a bike! That day I spent cycling around the rest of the temples and sights, they will give you a map in your guest house and it is easily signposted to find all of them. Cycling is by far the best way to get around as tuk tuks are expensive and a scooter is just a bit too fast to take it all in. 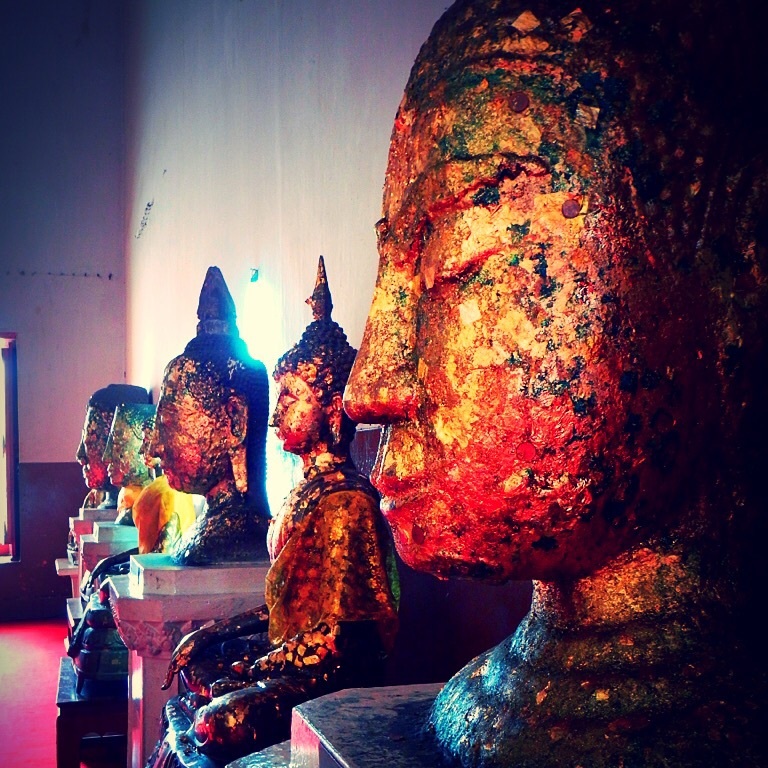 The temples are all stunning and all worth a look, a two full days should be about enough to fit everything in, but make early starts to avoid the serious heat of the day and to beat any crowds. Avoid the elephant kraal if, like me, you are a bit sensitive to the mistreatment of animals as these poor elephants are chained and forced to dance for audiences of tourists – the sight made me feel sick to my stomach and I will be posting on this again later on. I would really recommend getting to as many of the temples as possible and hiring a scooter to get to the floating market, which Filo and I did the following day. It is also definitely worth going to the museum and tourism centre – both offer useful insight into the history behind these amazing landmarks are will really help to contextualise everything without needing an audio guide. I skipped the audio guide and preferred to cycle round and explore by myself so the museums were great for learning more. 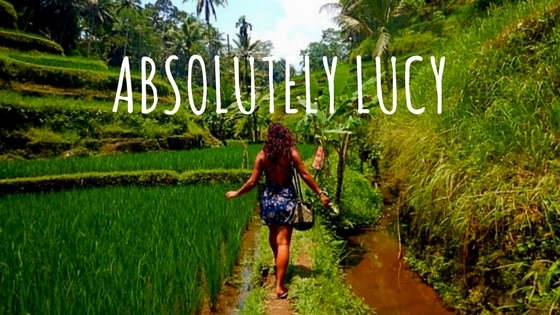 If you have the time, I would definitely say two full days and three nights is a perfect amount of time to explore at a leisurely pace as things are a little spread out here and you may want to indulge in a few extra cycle rides like I did. 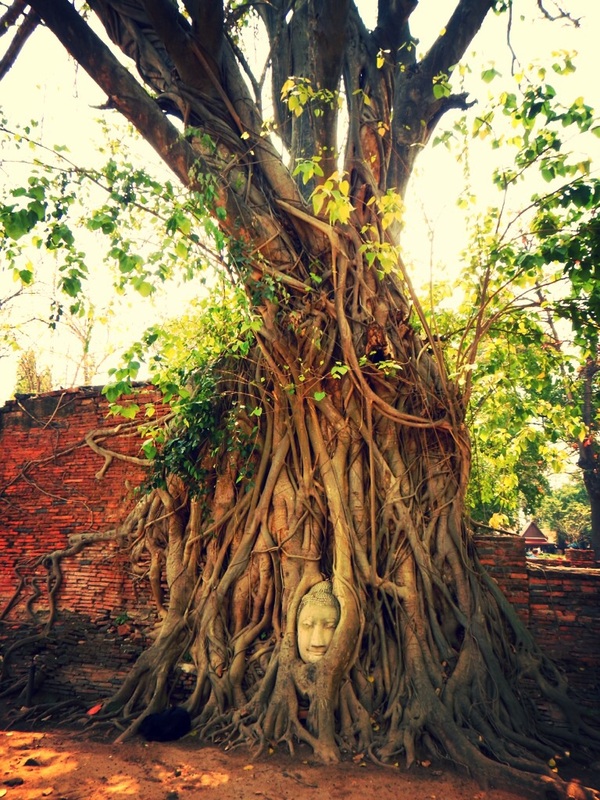 Have you been to Ayutthaya? Which was your favourite temple and how did you enjoy exploring? Would you stop off here on your way to the north?